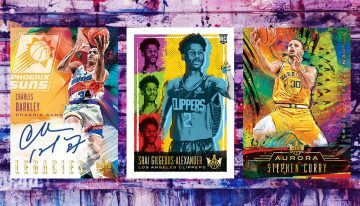 2017-18 Panini Kobe Eminence Basketball is all about one player — Kobe Bryant. 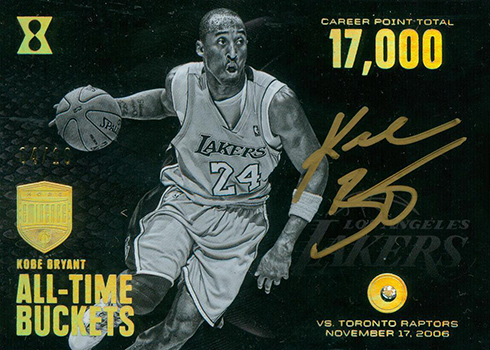 It’s also as premium as you get with each box including at least eight autographs from the Lakers legend. 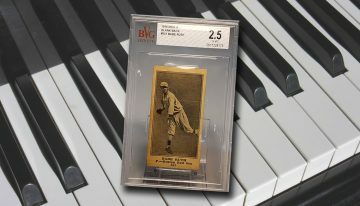 Cards laden with an ounce of gold or platinum are also part of the mix. 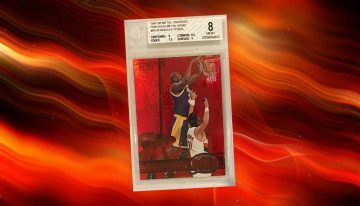 As one might expect, 2017-18 Panini Kobe Eminence Basketball isn’t cheap. 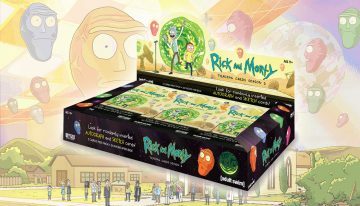 Each single-box case runs significantly more than $10,000. 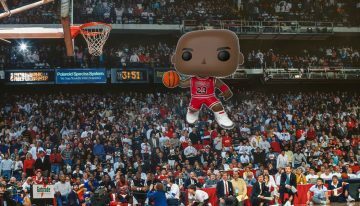 The intent of the product is to showcase Bryant’s career in a format befitting his status as one of the game’s all-time greats. 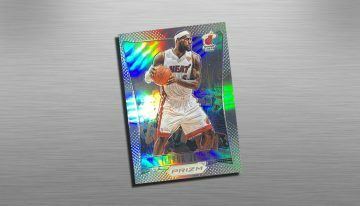 That means cards that center on great moments, career achievements and other Black Mamba peripherals like showcasing the evolution of his Nike sneaker line. 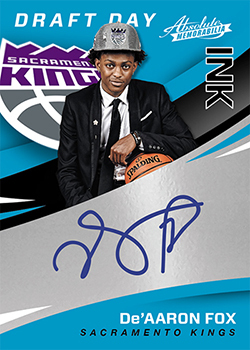 Career-specific themes include Triple-Double and a career points-focused set, 33643. 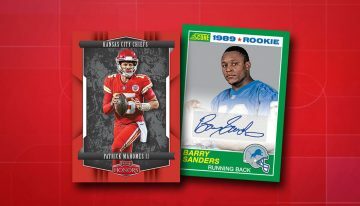 Both of these have autographs and diamonds. 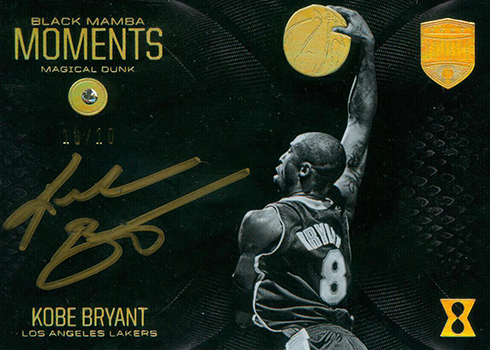 Black Mamba Moments takes a similar approach, only with cards that mention specific feats. 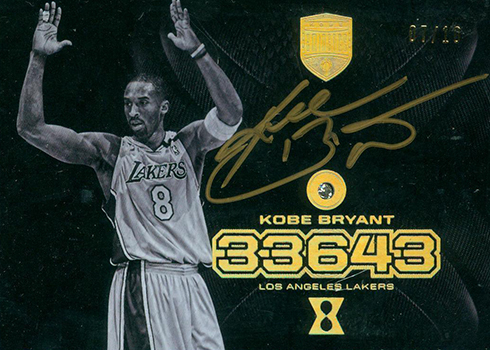 Kobe Championship Magnets is a three-piece puzzle of sorts. 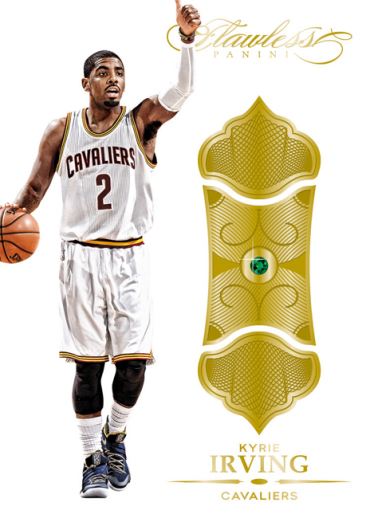 When put together, the three cards offer another way of looking at his five championships. 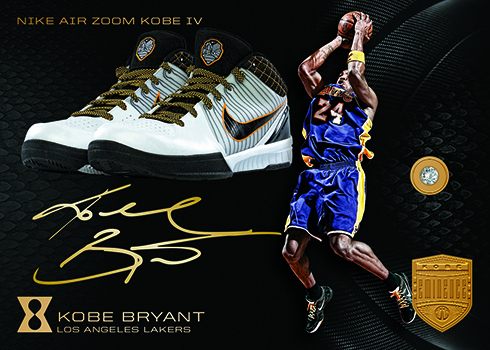 Shoes come into play with Signature Sketches Diamond. 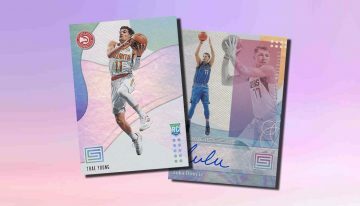 These have the same autograph-diamond combination as many other cards in 2017-18 Panini Kobe Eminence Basketball. 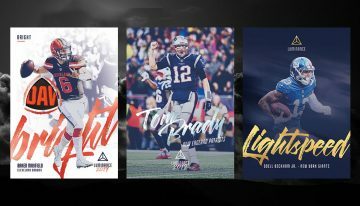 They also display his shoe line through the years. 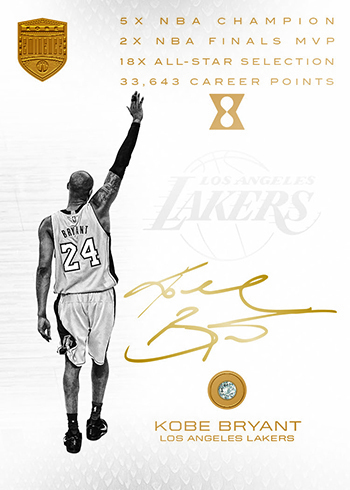 Mamba Out is a special card that acts as a capstone to his career. 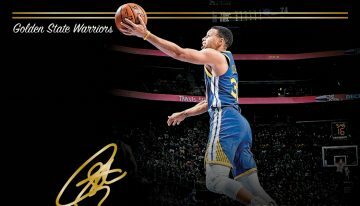 It, too, is signed and comes with a diamond. 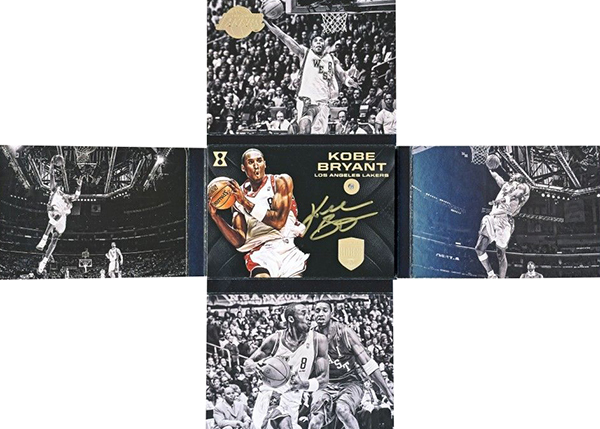 2017-18 Panini Kobe Eminence Basketball has a couple of additional inserts that come with elements other than autographs. 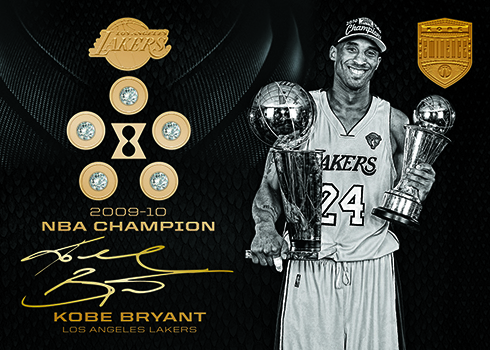 A special Jeweled Laker Logo card outlines the team’s iconic ‘L’ with a series of diamonds. 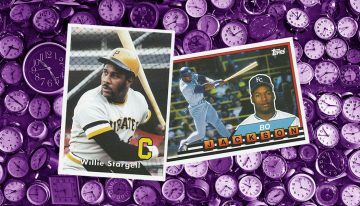 Giant Memorabilia Swatch cards come with a massive piece of patch from a game-used jersey. 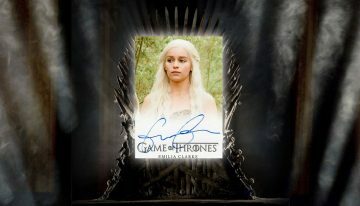 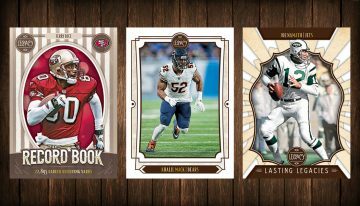 Although boxes wont come with every card in the product, they do have an autographed book that showcases the entire collection. 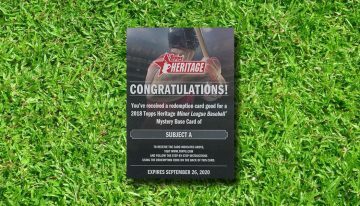 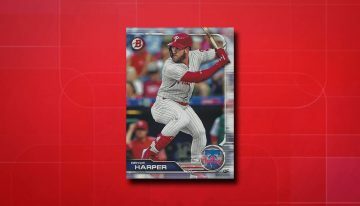 This isn’t a book card. 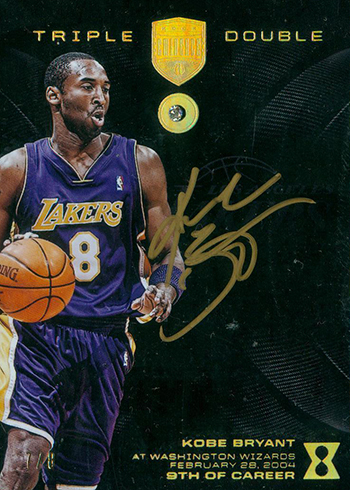 Rather, it’s an actual hardcover book that’s signed by Bryant. 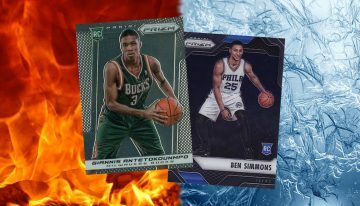 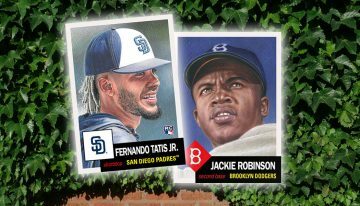 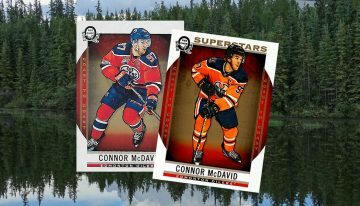 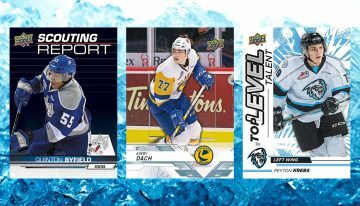 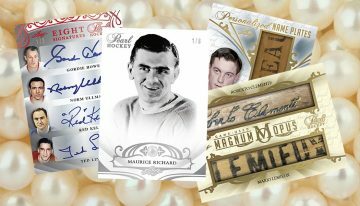 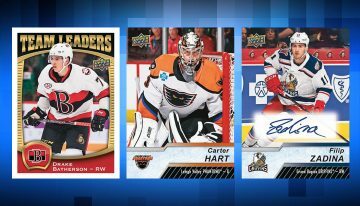 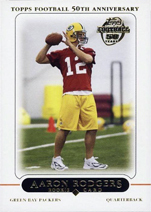 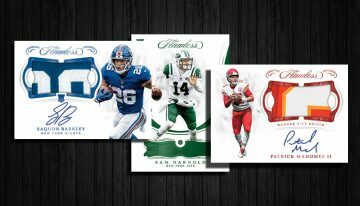 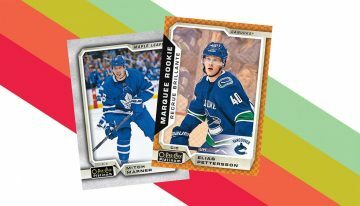 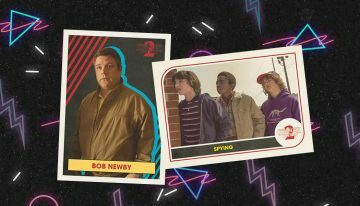 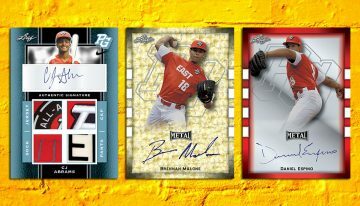 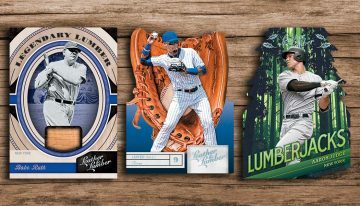 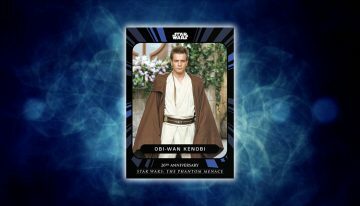 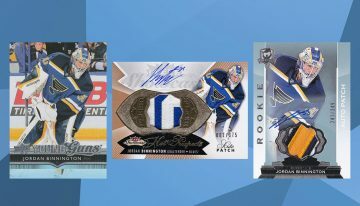 Panini has a live look at some of the final cards posted on their blog. 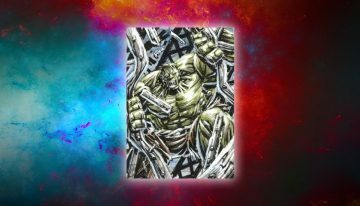 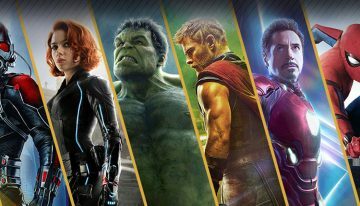 Honestly, I remember when I thought the master collections from 2000 were over priced and I still think they were better than most of these super boxes that are now coming out.